danielle needed me to stand in for a photo shoot she was working on for her blog. 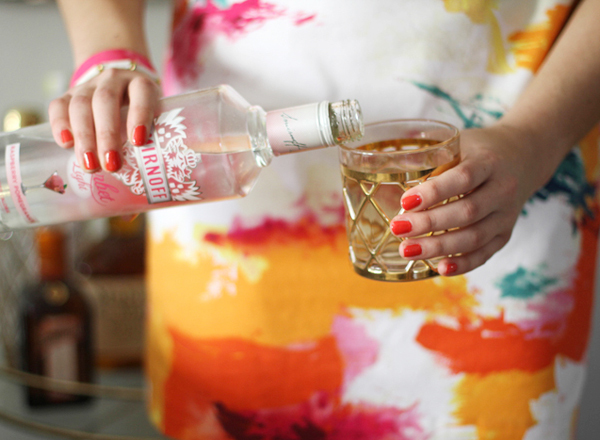 the assignment was to dress colorfully and pour vodka drinks. preppy but FUN. done and done. 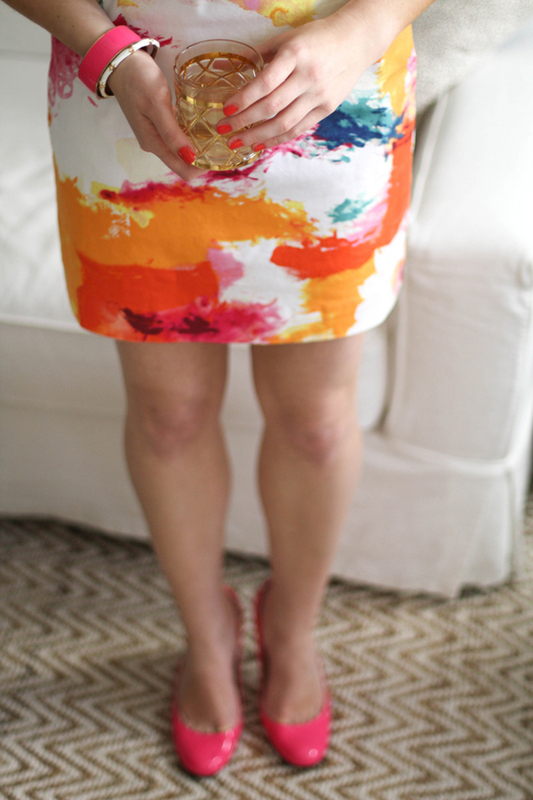 i had the perfect color-splashed frock–a recent treat from kate spade saturday! i realize it's only a glimpse, but you get the idea of how fun the dress is. maybe there will be a full outfit post coming soon... maaaaybe. Darling dress! I'll have one and a drink please! I adore the print of that dress! Nice combination of colors. looking at the picture itself tells how beautiful it is.